Gmail maintains your data and makes it very effective to get around so that you can use it when needed the most. And contacts are one part of it. Gmail adds everyone you connect or communicate with as a contact and gives you an option to export these contacts from Gmail to Outlook, Yahoo, iPhone, or any application you wish. 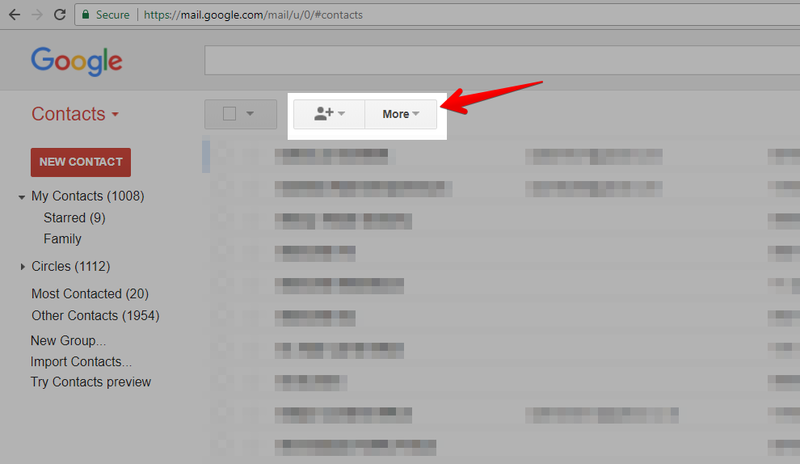 Press “G+C” and the contacts will appear in the same tab only. People who opt for the traditional way will be directed to the newer version of Gmail contacts, and people who went for the shortcut will be directed to the older version. Pro Tip: We would advise you to go for keyboard shortcut as newer version doesn’t have the option of exporting contacts from Gmail yet. 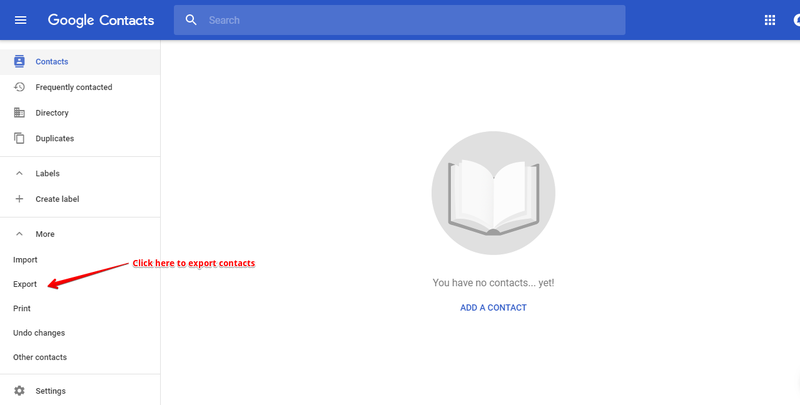 People who are already on the newer version of Gmail contacts can proceed in the way mentioned below, others can click here to move to the older version section. Click on the option “More” on the left side panel. You will be able to see the Import, Export, Print, Undo changes and Other contacts options. 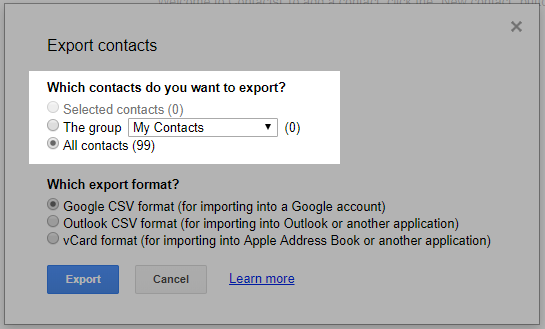 Gmail Contact’s newer version doesn’t support exporting contacts option yet. So, you will see this pop up on your screen. 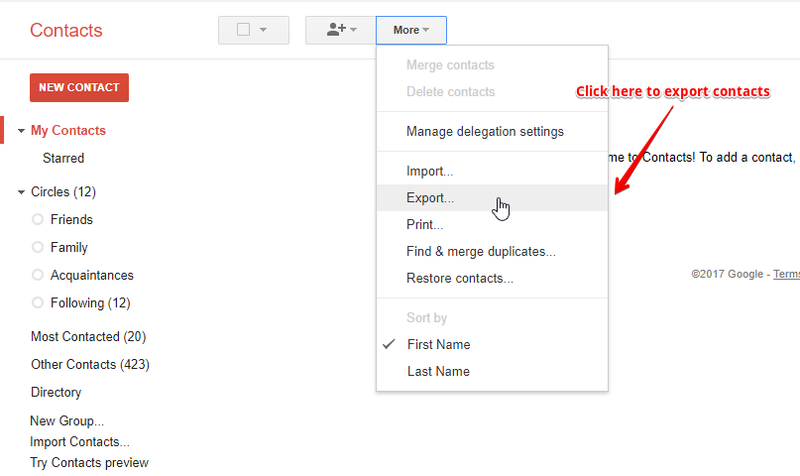 Select the “Go to old version” option and the older version of Gmail contacts will open in a new tab. 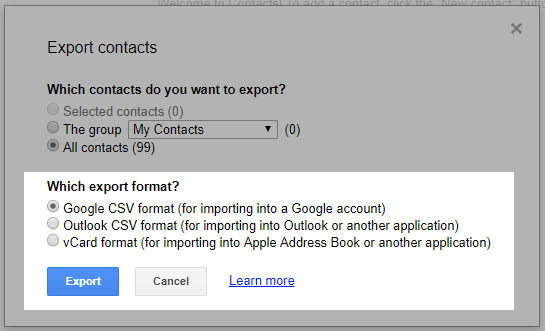 Choose Google CSV if you want to import these contacts into a Google account.Same goes for Outlook CSV, suitable for importing to Outlook.The vCard format allows you to import these contacts to Apple address book or any other applications. Outlook doesn’t support these characters. After choosing the right option for you, continue to the next step. Click “Export” & your CSV will be downloaded in a matter of seconds. Once all your contacts are exported and ready to go, send a group email and get amazing reach for your campaign. Wondering why everyone you contacted till now is added to your contacts? Reply to an email or? 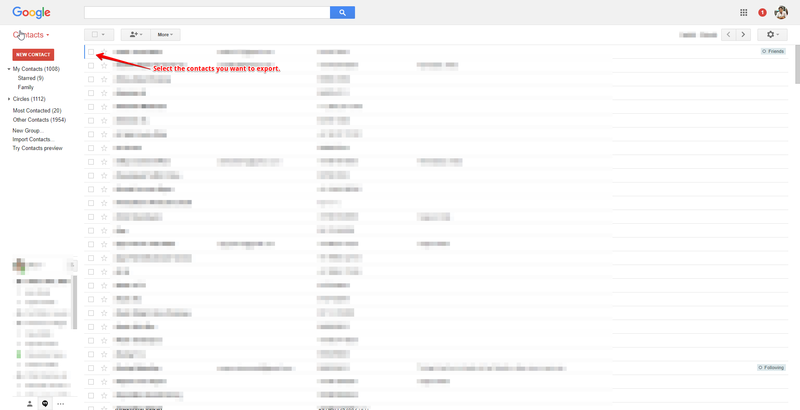 All these contacts are saved under “Other Contacts” label in Gmail Contacts. Most people who are looking to export contacts from Gmail want to import those contacts to Outlook. Those of you who are doing so might face some issues. Here are some of the major issues and their solutions as well. If you got an error message while importing contacts to Outlook then this might have happened because you tried to import more than 2000 contacts to Outlook. Solution: Open the downloaded CSV and try to separate them into smaller CSVs and then import them into Outlook. If no contacts appear when you try to import contacts to Outlook, then the reason behind this might have been because of the CSV. Solution: Locate and open the CSV and see that the data you wanted to import is there or not. There is a possibility that the data didn’t export from Google. So try to export contacts from Gmail again (Choose all contacts this time) and then try to import the same in Outlook. Gmail continues to make our lives better with its functionalities and features. But it’s still not perfect, and there are many ways you can supercharge your Gmail and Outlook as well. For instance, if you want to send personalized mass emails using the list of contacts that you have just extracted, then you can use Mail Merge feature from SalesHandy. You can visit our page on Mail Merge Gmail to learn how to set up a campaign with automated follow-ups and also know more about the additional benefits you can derive using it. Send first 200 emails of your Mass Email campaign for free!